Perhaps the best application for Genius Gin, a martini, is simple, exquisite, and powerful. Despite all of the James Bond “shaken not stirred” debates, we advise that you NEVER shake a martini; unless of course you want ice in your drink and a nice tinge of cloudiness. 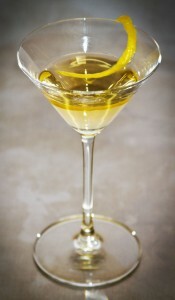 To enhance further the beauty of a martini, we offer the single best recipe when using Genius. Normally you would use dry vermouth, making a “dry martini”, but our absolute favorite preparation is “perfect”. This indicates a perfect balance of sweet and white vermouths.